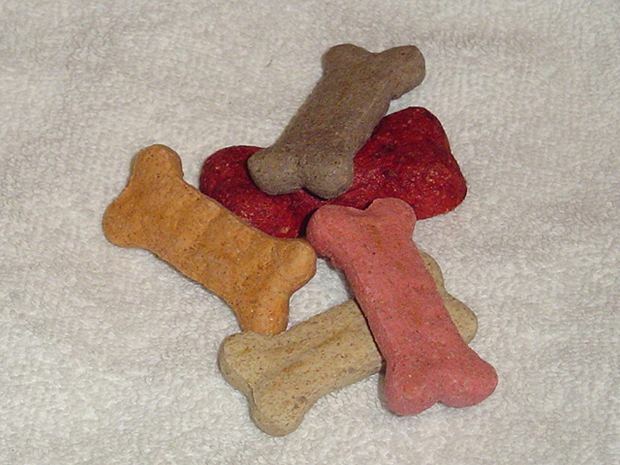 Did you know that today is International Dog Biscuit Appreciation Day? Neither did I, but it is so what better day to spoil your dog? Whether you want to make some homemade dog biscuits or snuggle up with your pooch to enjoy a dog themed flick or simply read aloud from one of the classics of dog literature, we’ve got you covered. Now it might seem like a lot of work to make your own dog treats but there are some great simple recipes across the web. I’ve found a variety of recipes from for dogs with sensitive stomachs to a classic dog treat even their humans won’t be able to resist. My favored recipe is Alton Brown’s Stinkin’ Dog Treats. I’m sure your dog would devour any of these but be sure to let me know if you try the Alton Brown recipe. I’m curious how much your precious pooch loves the stink! Homemade dog treats also make a great gift for fellow dog lovers. Dogs have long been movie stars in their own right. Here are a couple of my favorite dog-centric flicks. Although if you are like me, you should check out doesthedogdie.com before watching any dog related movie to avoid being blindsided by an emotional gut punch. One of my favorites from my childhood is Homeward Bound: The Incredible Journey; this harrowing tale of three pets’ journey back home has the right amount of suspense and a heartwarming end that will please the whole family. If you are looking for something more adult check out of my favorite comedies, Best in Show! This sharp-witted satire takes an inside look at the world of dog shows. The characters are all just outrageous enough to ring true. If there were ever a book that every dog needed to hear it would be The Dangerous Book for Dogs by Rex and Sparky with assistance from Joe Gardener. It will have you laughing aloud and teach your dog all kinds of new tricks from how to escape embarrassing costumes to proper method for terrorizing squirrels. There are even simplified pictures for your dog to enjoy. Celebrate your dog by reading this amazingly funny yet informative book. If you are looking for something a little deeper, but still amazingly well written and profoundly funny, check out The Art of Racing in the Rain by Garth Stein. Narrated by racecar driver Denny’s dog Enzo, this book provides an interesting glimpse into human life and teaches us that sometimes dogs are the best philosophers of all.